As I opened the envelope it became even more puzzling, as it clearly contained two miniatures. There was also an accompanying letter that explained things – it turns out I had won the figures! A company in Italy that I had ordered a figure from in the past had a drawing among their customers, and had been selected to receive these! 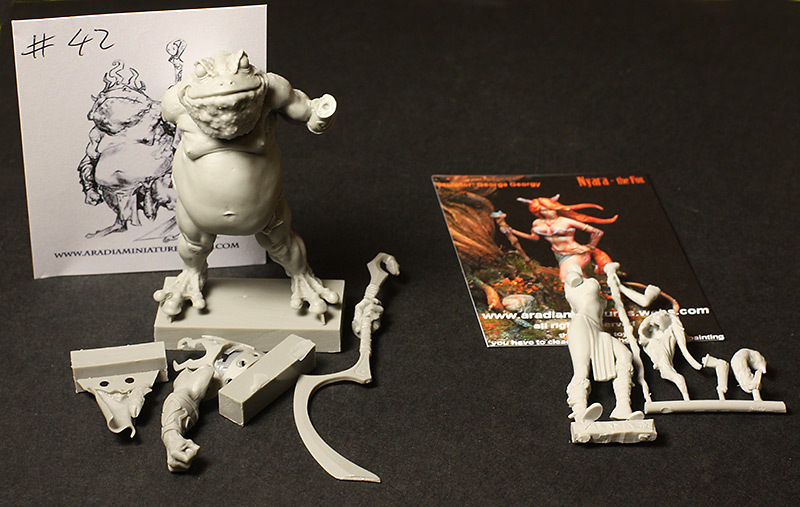 The company is Aradia Miniatures, and the minis were ‘Toad King’ and ‘Nyara, the fox lady’. Both of them look great, especially the Toad King! I will definitely enjoy painting these. Thank you Aradia Miniatures!